The name Peranakan describes both a rich culture and a unique ethnic group, arising from the meeting of Chinese and Malay peoples. 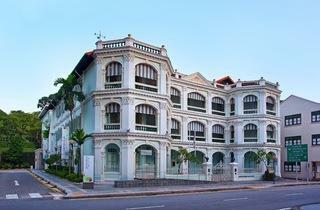 This ten-gallery exhibition venue houses the world’s largest and best overview of Peranakan life over three floors. Explore documents and artefacts – jewellery, silver, furniture, textiles and crockery predominate – brought to life through interactive and multimedia stations. The introductory gallery defines the Peranakan culture of Singapore, Malacca and Penang in broad terms; the second level is devoted to the Peranakan wedding and its associated rituals and accessories; and on the third level explore religion, public life and food. 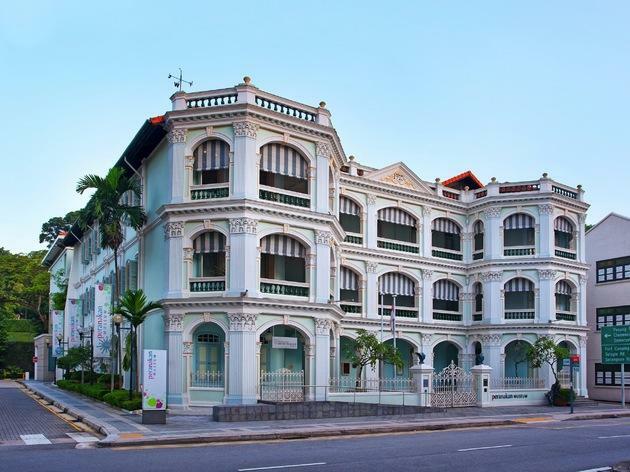 As Peranakans re-examine their culture and identity in the face of modernity, this gallery serves as an introduction for the public by showcasing a myriad of Peranakan clothing, food, jewellery and artefacts. Domesticity has always been a prominent trait of the Nonyas. The importance of the sarong kebaya, the traditional Nonya attire that’s exhibited in this gallery, will be revealed as it not only highlights the skill involved in beadwork and embroidery, it’s also a preoccupation of the traditional Peranakan woman. Step into the mystical world of Peranakan spiritual beliefs. See how the mix of Taoism, Buddhism, ancestral worship and other components of the supernatural world evolved through the years. The traditional Peranakan wedding takes place over the span of 12 days. This exhibit shows just what goes on during that time – besides plenty of sleepless nights for the bride and groom. Wedding-specific jewellery, beadwork and furniture are on display. These days the word ‘Peranakan’ is used fairly liberally to refer to the culture formed through the mixing of Malay and Chinese traditions. But did you realise there are many types of Peranakans? Come find out more about the Chitty Melaka, Baba and Jawi Peranakans at this fascinating gallery. $6; family $25, joint ticket with Asian Civilisations Museum $12.